Melba S. Holladay of Grace Village Retirement Community in Winona Lake, Indiana went home to be with the Lord at 1:13 p.m. on Saturday, January 19, 2019 at the age of 94. She was born on August 19, 1924 in Protection, Kansas to Alice Oretta (Lee) Shoemaker and Alva Burris Shoemaker. On June 22, 1947 she was married to William Addison Holladay, Jr. They were married for 54 years before he passed away on July 11, 2001. Melba graduated in 1942 from Protection High School in Protection, Kansas. She received her Bachelors degree from Ottawa University in Ottawa, Kansas and became a teacher having taught for 3 years. 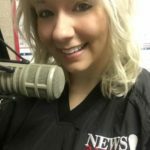 She had been a resident of Kosciusko County, Indiana for the past 13 years and attended Grace Fellowship Church in Bremen, Indiana. Melba had traveled extensively in the U.S. and Europe, was an avid reader, loved people and singing, but most of all the center of her life was her love for the Lord and serving in his church. Melba’s children, grandchildren, great-grandchildren and friends will continue to benefit from her joyful life. 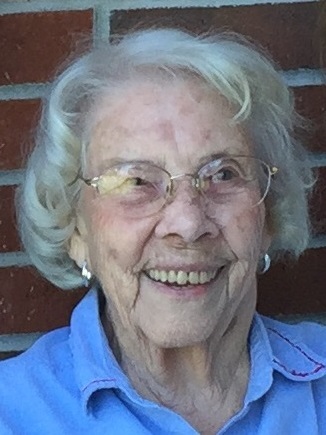 She will be lovingly remembered by her three sons: Greg (Carole) Holladay (Warsaw, Indiana); Steve (Kris) Holladay (Hendersonville, North Carolina); Scott (Becki) Holladay (Warsaw, Indiana); ten grandchildren, and fifteen great-grandchildren. She was preceded in death by her parents, husband, and two brothers. Visitation will be held on Saturday, January 26, 2019 from 12:00 – 2:00 p.m. at Redpath-Fruth Funeral Home, 225 Argonne Road, Warsaw, Indiana. Her funeral service will be conducted at 2:00 p.m. on Saturday, January 26, 2019 at Redpath-Fruth Funeral Home and officiated by Pastor Steve Holladay. Burial will take place at White Chapel Memorial Gardens in Wichita, Kansas. Memorial donations may be directed to Grace Village Retirement Community – “Caring Friends”, 337 Grace Village Drive, Winona Lake, Indiana 46590 and would be appreciated by the family.